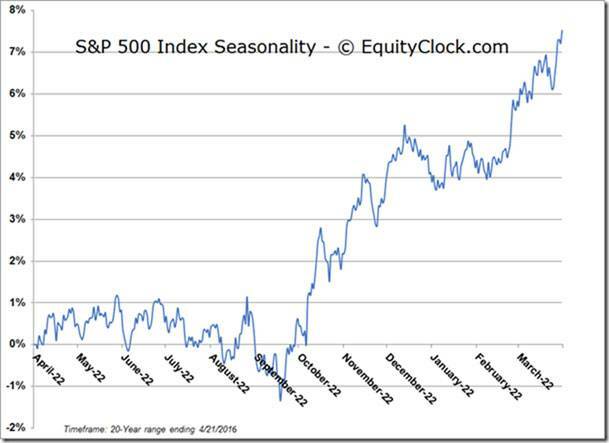 "Sell in may and go away" is the well-worn phrase heard at this time of year that describes expected stock market performance during the summer time. The phrase implies that North American equity markets reach a seasonal peak early in May and move lower until the end of October. Optimal dates frequently associated with the strategy are May 5 for exit and October 28 for re-entry. However, closer examination of data for the S&P 500 Index and TSX Composite Index suggests a better strategy. Frequency of stock market losses during the May 5 to Oct. 28 period does not support the strategy: The S&P 500 Index moved higher 66 per cent of the time since 1950. The TSX Composite Index advanced 55 per cent of the time since 1977. The phrase earned its reputation because accumulated losses during the period significantly exceeded accumulated gains. When equity markets moved lower in the summer, large losses frequently were recorded. When equity markets moved higher in the summer, gains frequently were small. The optimal dates for summer peaks and troughs have changed slightly. The average optimal date for the S&P 500 Index summer peak during the past 20 year has shifted to June 15 and the average optimal date for the summer trough has adjusted backward to Oct. 15. 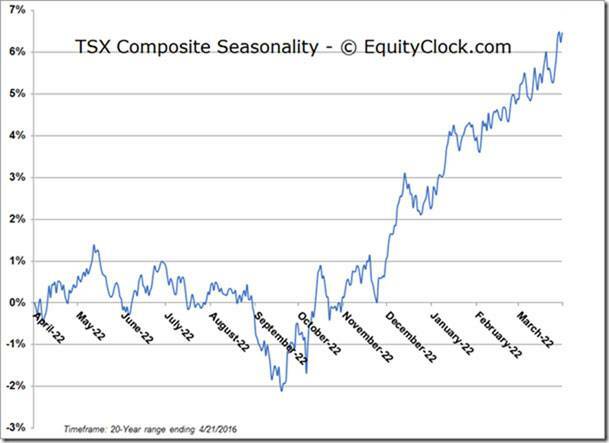 Average optimal date for the summer peak for the TSX Composite has shifted to June 7 and the summer trough has adjusted back to Oct. 11. A major reason for the shift by the S&P 500 Index away from the May 5 optimal entry date has been a change in weights by sectors and their impact on the Index. Consumer Discretionary and Health Care sectors have had a greater influence, while Financials and Utilities have had a diminished impact on performance during the past 20 years. Why should investors owning North American equities take a cautious stance between mid-June and mid-October? The main reason is the recurrence of volatility spikes during the period when volumes in equity markets are lower than average. The spikes are triggered frequently by international or political events: Last summer, North American equity markets were weighed down by a 45-per-cent plunge by the Shanghai Composite Index. The summer of 2014 was hit by the Ebola outbreak and the Ukraine conflict. The summer of 2013 was disrupted by the financial crisis in Greece. The summer of 2012 was influenced by political and economic uncertainties in Europe. The "Grand Daddy" of all disruptors occurred in the summer of 2008 when the world was in financial crisis. The best time each year to purchase North American equities is after volatility has peaked in the summer. There is no need to wait until Oct. 28 to re-enter equity markets. Technical indicators measuring stock market momentum, such as the percentage of S&P 500 and TSX stocks trading above their 50-day moving average, currently are intermediate overbought and have started to roll over implying vulnerability to a volatility spike this summer. A specific event, that could trigger a volatility spike, is unknown at this time. One possibility is response to the U.S. Presidential election campaign late this summer. Historically, U.S. equity markets have moved lower from early September to mid-October in response partially to uncertainties triggered by negative advertising focused on the final two Presidential candidates. The negative advertising period is expected to be particularly brutal this year, partially because of the Supreme Court ruling on the Citizens United case that allowed unlimited funding of advertising by Super PACs. It's time to change the phrase: Instead of "Sell in May and go away", let's think "Sell in June and buy after volatility spikes". Disclaimer: Don Vialoux is author of free daily reports on equity markets, sectors, commodities and Exchange Traded Funds available at www.timingthemarket.ca. The enclosed report is for information only. It should not be considered as advice to purchase or to sell mentioned securities. Data offered in this report is believed to be accurate, but is not guaranteed.